LittleEllieMae: (Another) quick fashion haul! Okay, so I went shopping.....again! 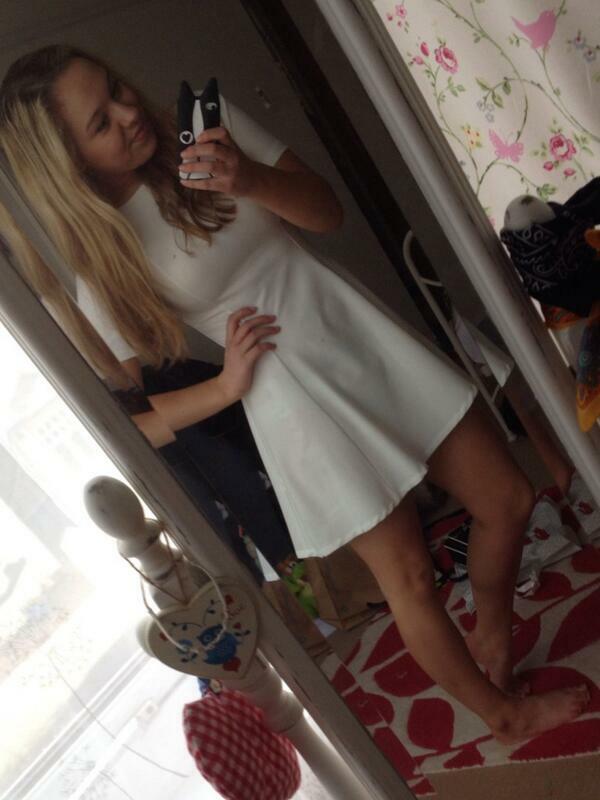 First up is this cute white dress from Primark. It was only £13 which I think is a bargain! I love the longer sleeves on it- it is very flattering! A lot of celebs have been sporting LWD (Little White Dresses) lately, including Annasophia Robb and Emma Watson! I think its super cool and will especially look gorgeous with a tan in the summer! Because of the plain colour it would look great with a statement necklace and some pretty sandals. 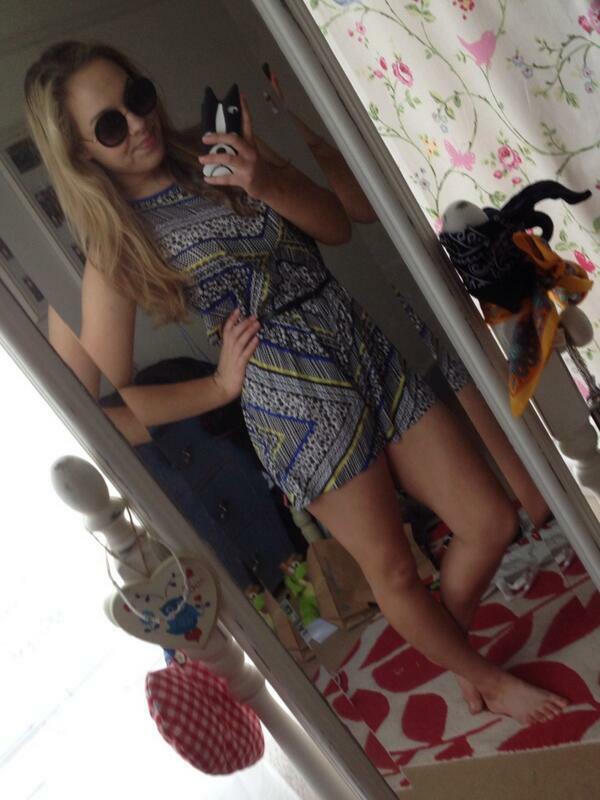 Also from Primark I picked up this playsuit for only £7! I love the electric blue and lime green colours along with the monochrome aztec print; its very unique and cool. It came with a little black belt too which breaks it up nicely and cinches you in at the waist to show off curves better! The quality is incredible for this price! I also brought these sunglasses from Primark for £3. I've always loved rounded lens and was inspired by Niomi over at LadySmart who looks gorgeous in some very similar but I never had the confidence to rock them- but now I will do! They add a bit of boho chic to an outfit I think! And at £3 you can't go wrong really! 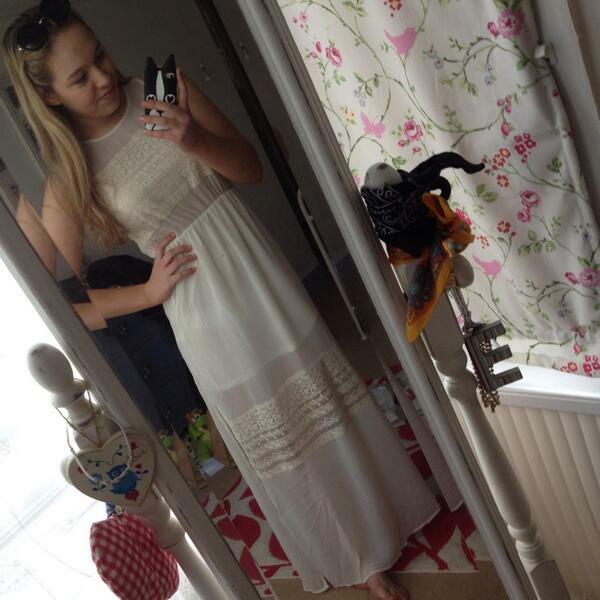 And lastly I brought this gorgeous dress from H&M for £24.99. It was totally love at first sight with this dress! Its so floaty and pretty ahh. I brought it to wear at a party I have coming up in June where I will wear it with some gladiator sandals and gold accessories! There is a triangular cut out at the bottom of the back which I think is very unique (and doesn't show off your bra yay) and slits either side of the leg for easy walking (and dancing!). I cannot wait to wear this dress and I feel like a boho, greecian princess in it. hehe. So that's it for today.. until my next shopping trip!